Ancol Tan Studded Leather Collar For Dogs. Made From The Finest Quality Studded Bridle Leather. 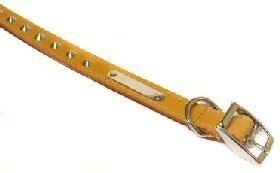 This Dog Collar Comes Complete With Die Cast Fitting Making It A Highly Durable Yet Supple Collar.